Great card! Love how you used the colors. 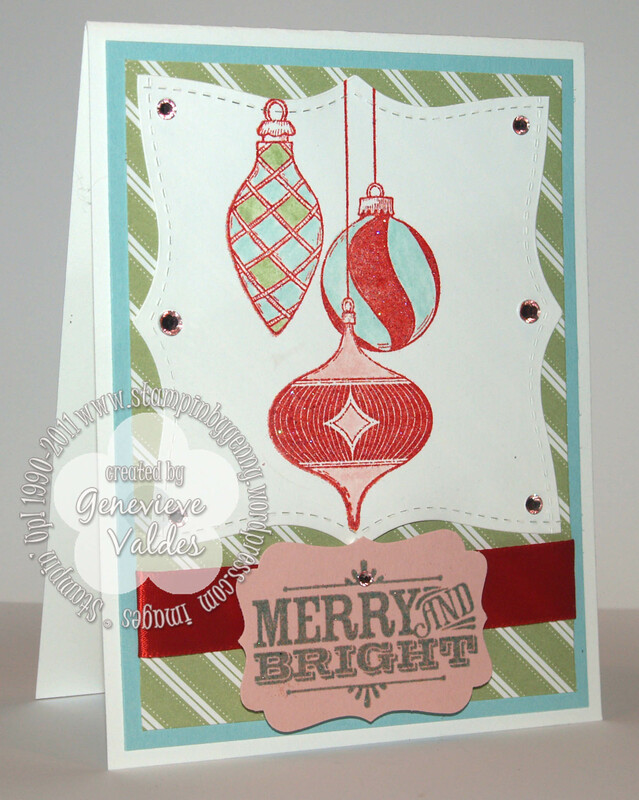 Those ornaments work perfectly with these colors….and I love your top note square, such a fun twist! SUPER CUTE card!!! I love those ornaments- the vintage type are my FAV shape!! I love the colors and the FUN look your card has. I totally dig the card- FAB job girl! !